Today's R&D landscape requires research managers to devise better ways to measure the quality and impact of their institution's research projects. Using advanced data analytics super-computer technology, SciVal allows you to instantly process an enormous amount of data to generate powerful data visualizations on-demand, in seconds. Watch this 5 minute quick-start video to learn how SciVal offers quick, easy access to the research performance of over 10,000 research institutions and 230 nations and regions worldwide. 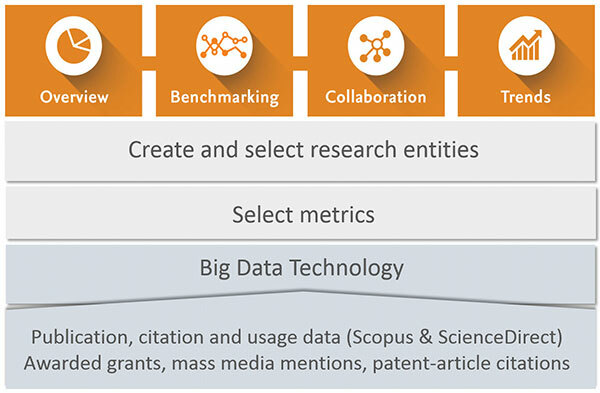 SciVal enables you to visualize research performance, benchmark relative to peers, develop collaborative partnerships and analyze research trends.